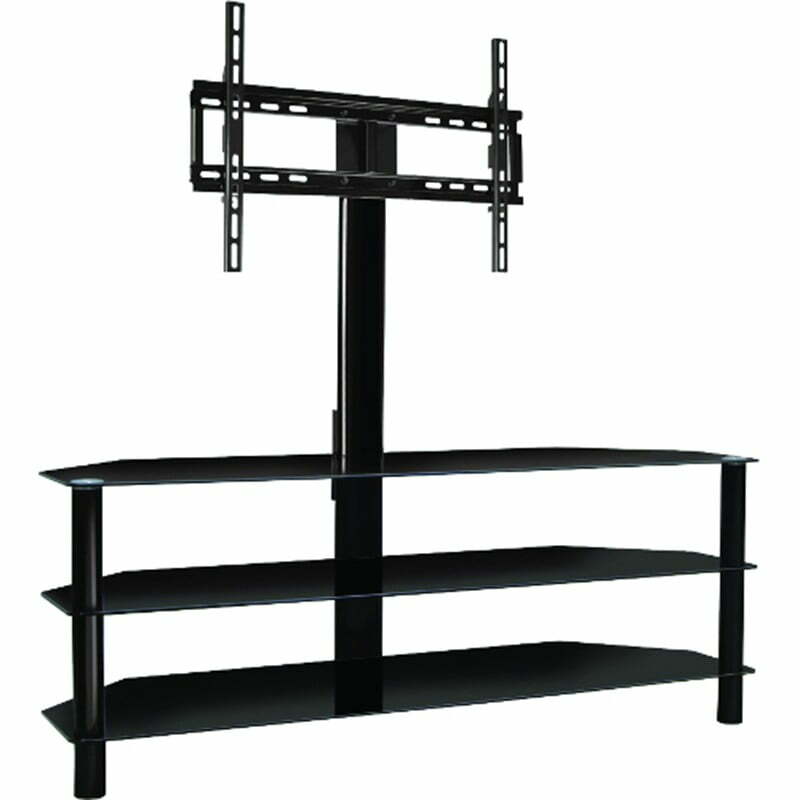 The Bello PVS25202 – 3 Shelf Mountable TV Stand from the contemporary collection of TV stands and audio/video furniture offered by Bello, is designed to hold most flat panel televisions up to 55″ (or up to 125 lbs), and up to six audio/ video components on its elegant Black tempered safety glass shelves. The Bello PVS25202 – 3 Shelf Mountable TV Stand affords you the space and support you need, with the least obstruction, allowing you to focus on what really matters, your favourite programs. With a width of 52″, and a height of 49.3″, there is plenty of room to store your home theatre audio and video components all on one elegant piece of furniture, enhancing the look of your home audio/ video theatre system with a beautiful Black painted metal minimalist frame, with three tempered safety glass shelves. The three Black tempered safety glass shelves, and open architecture design of the Bello PVS25202 – 3 Shelf Mountable TV Stand offer the necessary ventilation for convection cooling of your home theatre audio/video components. The CMS Cable Management System helps hide and organize unsightly wires and interconnected cables of your home theatre for a clean appearance.